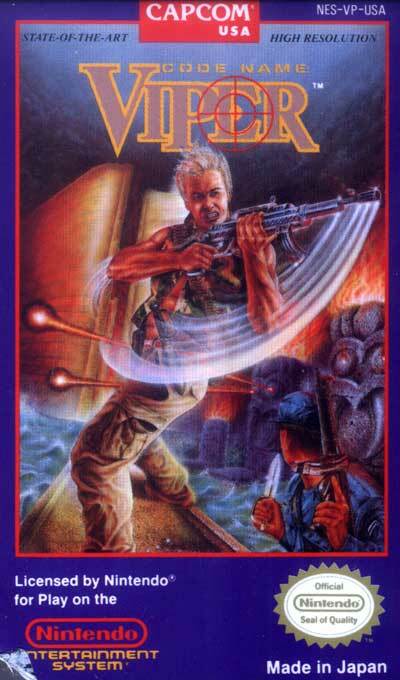 Code Name: Viper is a NES action game where the player has to go to South America under the command of an Army commander in order to bust up a commando army. But in the end, the player realizes that the commander is corrupt and he ends up killing his superior officer with a machine gun worthy of Rambo inside his multimillion dollar castle fortress. Gameplay is modeled after the classic arcade game Rolling Thunder.